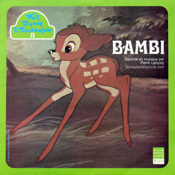 Records on this shelf include songs and content from "Bambi." 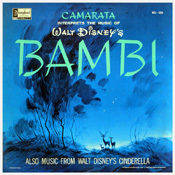 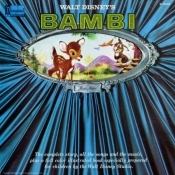 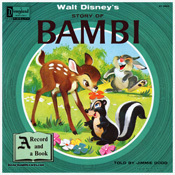 "Bambi" is Disney's 5th animated feature and premiered in theaters during August of 1942. 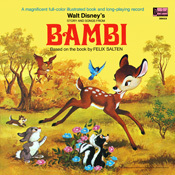 The running time is approximately 70 minutes.